Read the image to be transformed. 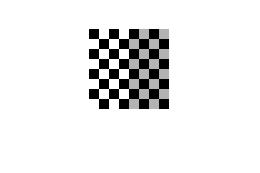 This example creates a checkerboard image using the checkerboard function. 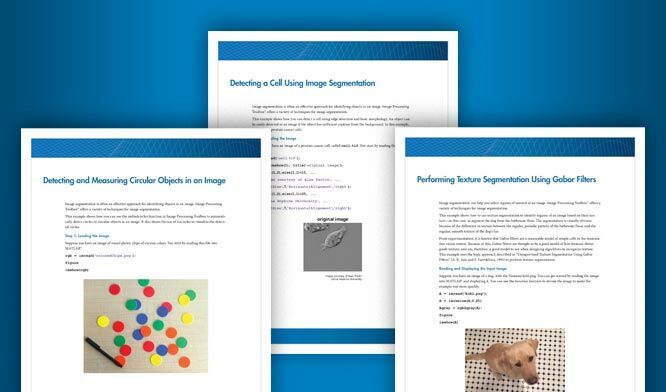 Get spatial referencing information about the image. This information is useful when you want to display the result of the transformation. Create a 3-by-3 transformation matrix, called T in this example, that defines the transformation. 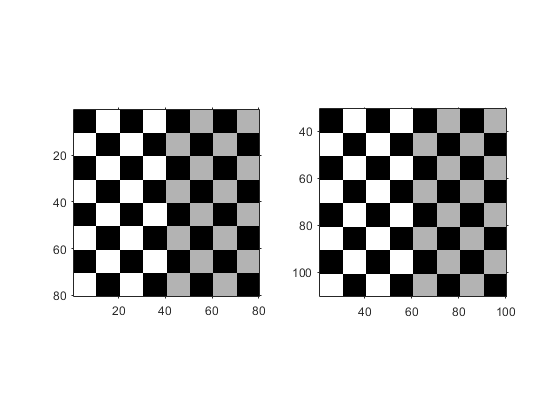 In this matrix, T(3,1) specifies the number of pixels to shift the image in the horizontal direction and T(3,2) specifies the number of pixels to shift the image in the vertical direction. Create a geometric transformation object that defines the translation you want to perform. Because translation transformations are a special case of the affine transformation, the example uses an affine2d geometric transformation object to represent translation. Create an affine2d object by passing the 3-by-3 transformation matrix, T, to the affine2d constructor. Perform the transformation. Call the imwarp function specifying the image you want to transform and the geometric transformation object. imwarp returns the transformed image, cb_translated. This example also returns the optional spatial referencing object, cb_translated_ref, which contains spatial referencing information about the transformed image. View the original and the transformed image side-by-side using the subplot function in conjunction with imshow . When viewing the translated image, it might appear that the transformation had no effect. The transformed image looks identical to the original image. 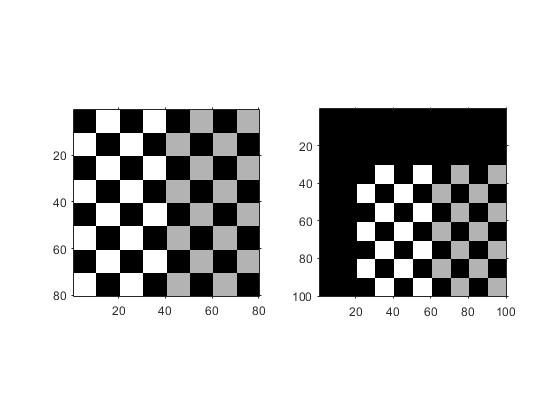 The reason that no change is apparent in the visualization is because imwarp sizes the output image to be just large enough to contain the entire transformed image but not the entire output coordinate space. Notice, however, that the coordinate values have been changed by the transformation.